One of the things I like most about celebrating New Year's Eve is getting all dressed up. I mean, when I got out at all. The past few years have found me celebrating midnight passed out on my couch with one hand in my pants if we're being honest. But when I DO go out, it's the getting ready to go that I've always loved even more than the parties themselves. Because on New Year's Eve you can go all out! Makeup and hair that would seem over-the-top any other day of the year are expected on New Year's Eve. In case you need inspiration, I've picked 9 of my favorite crazy beauty trends that are just perfect for whatever New Year's Eve fete you've got planned. 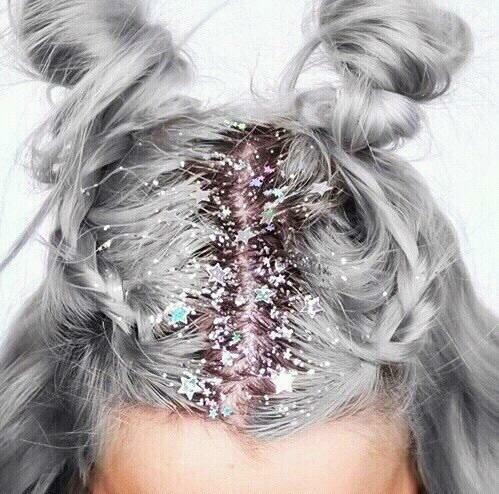 It's New Year's Eve, so let's get as glittery as we can! 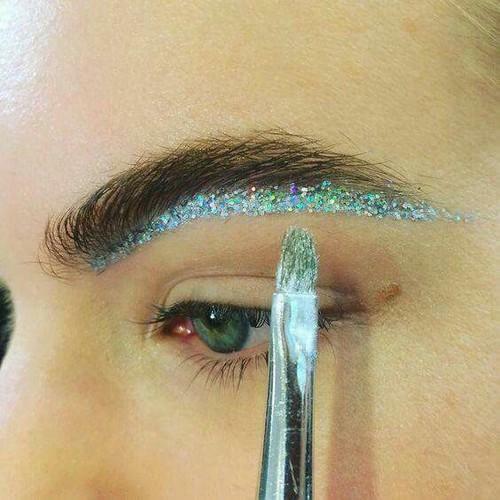 Try lining the base of your brow with the glitter of your choosing (provided it is not craft glitter). This runway look only works this one, party-tacular night of the year, so enjoy. 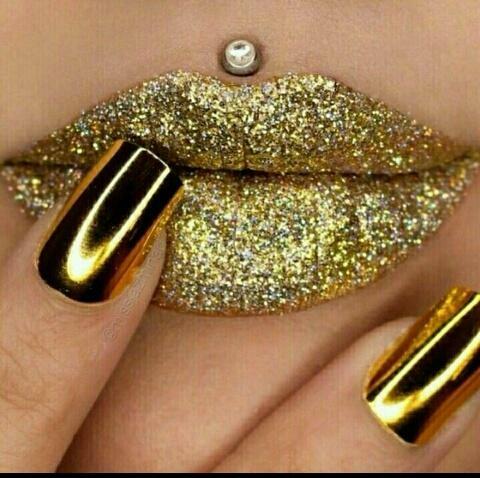 Glittery lips of every iteration are all over Instagram these days. 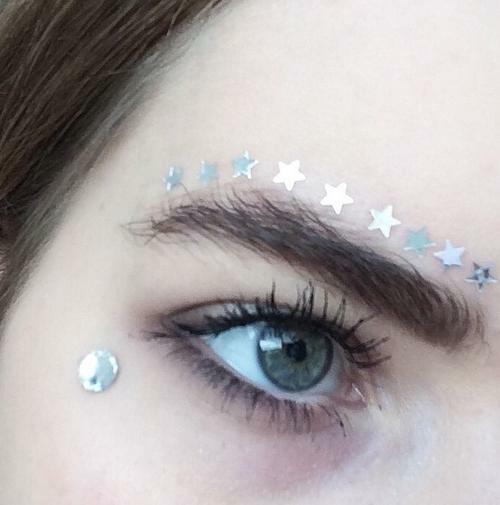 You don't need to be a lip model or YouTube star to pull off this look. Because what better way to welcome 2017 than with a glass of champagne and sparkling pucker? Also, I'm pretty sure robots will be taking over like, any second now, and with lips like this they might mistake you for one of their own, thus saving your life, at least temporarily. Save yourself a trip to the salon before your New Year's Eve party with this look. Instead, hit up a craft store for your favorite bits of confetti or bling. Affix with hairspray and party long after the ball drops. Also, should you have lice, this bling will serve as tasteful party decor for them. 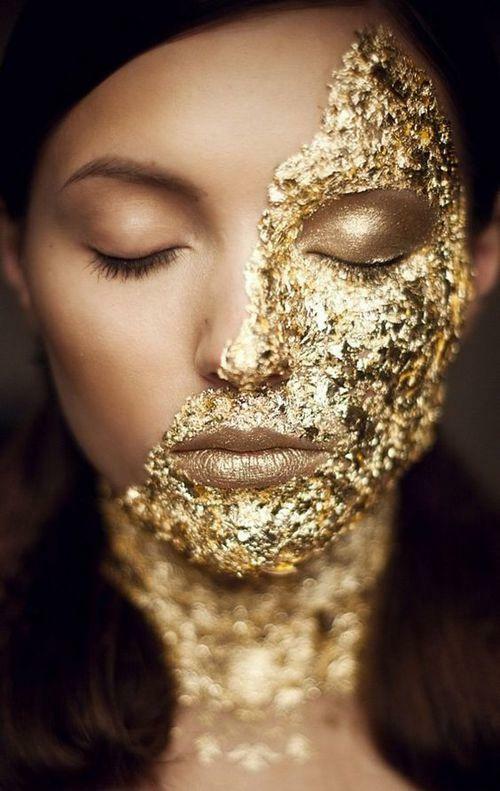 If you ask me, there aren't nearly enough occasions for us to cover our faces with gold leaf. It's not a look that screams "casual, breezy, first date", and that's fine. If ever there was a time to look like a member of a doomsday cult celebrating the end of days, New Year's Eve is it. Insert obligatory joke about "seeing stars" here. 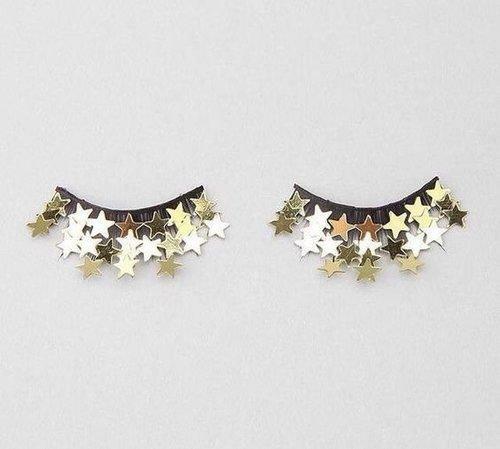 The halls are already decked, so why not have lashes to match? But proceed with caution. If you scratch your cornea, I'm not going to the ER with you. I mean, not unless you can promise that the ER doctor will be really, really hot. 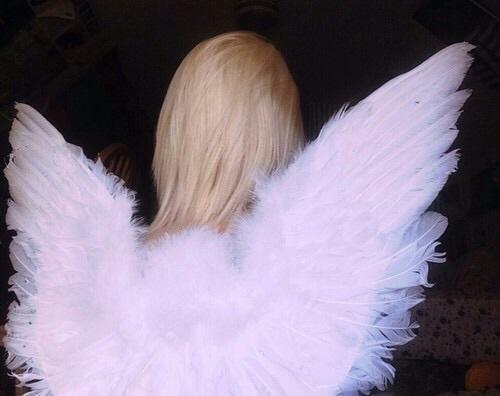 You know those angel wings you bought for Halloween when you were 19? Now is the hour to pair them with a little black dress and to hit the town. But I warn you, there's gonna be a lot of guys using that lame "did it hurt when you fell from heaven?" pick-up line on you. 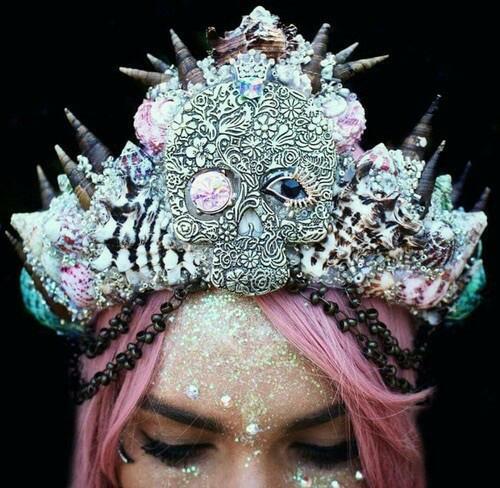 Unless you are the ghost of Marie Antoinette and/or a mermaid queen, chances are low that you ever get to wear a crown or headdress. But on New Year's Eve everyone is royalty. That's what America is all about. The monarchy and looking over the top fabulous. The things I miss about being a toddler? Putting stickers on my face and eating paste. I can't think of a context in which it would ever be acceptable for me to eat paste again. But for New Year's Eve, face stickers are 100% go. God, I wish I'd be born in an age where we could walk around with hair bigger than our own heads. Alas, it's now reserved solely for magazine campaigns and historical dramas starring thin British women with tiny but heaving bosoms. Make New Year's something special by raiding the special cabinet you have reserved for hair pieces (what, just me?) and this New Year's Eve wear hair as high as your spirits!